Google‘s DNS service is spreading rapidly. It’s time for you to use it. I used it and noticed some great speed changes even though my internet is just a dial up connection. 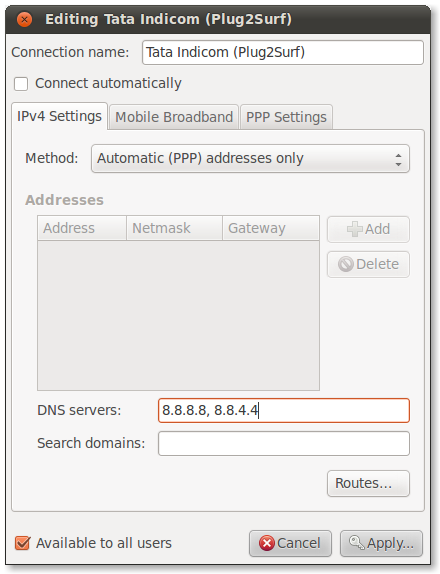 Here is how to set up Google‘s DNS on your Ubuntu Linux. Open Network Settings (network-admin) by going to System -> Preferences -> Network Connections. Go to your default net connection and click on Edit button. Finally, click on Apply button. Now the settings have been saved. 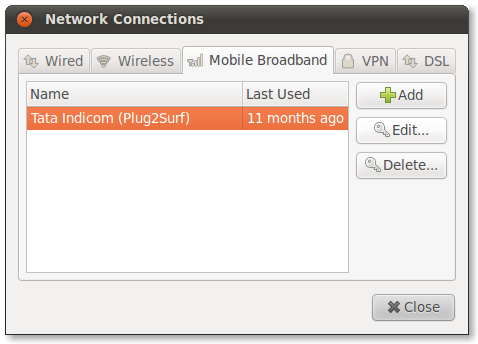 To try the new settings either disconnect the active internet connections and start a new connection or reboot your computer.